NICKELODEON KIDS CHOICE AWARDS TO FEATURE NIGERIAN OAP CATEGORY THIS YEAR! This year’s edition of the Nickelodeon Kids Choice Awards has revealed that for the first time ever, the annual event will feature a “Favorite Nigerian On Air Personality” category at the awards. The event, which is set to hold in Los Angeles on Saturday, March 29th will see the Nigerian category join other country-specific award categories and nominees including “Favourite South African DJ” created by the KCAs for fans around the world to vote for their favorite celebrities. 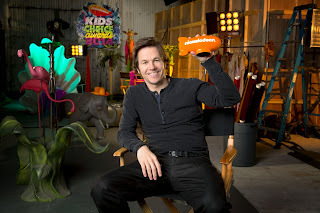 Oscar and Golden Globe nominated actor/producer Mark Wahlberg will host this year’s ultimate kid experience,Nickelodeon’s 27th Annual Kids’ Choice Awards (KCAs), airing on Nickelodeon on Wednesday 2 April. The eminent slime-tastic night will return to USC’s Galen Center and celebrate favorites across the worlds of film, television, music and more. Wahlberg will be joined by Hollywood’s biggest stars in an unforgettable telecast where kids rule. Mark Wahlberg earned both Academy Award® and Golden Globe nominations for his work in the family boxing film The Fighter and Martin Scorsese’s acclaimed drama The Departed. Notable film credits include The Italian Job, The Other Guys and Ted. Most recently, he played Navy SEAL Marcus Luttrell inLone Survivor. He will next be seen in Michael Bay’s Transformers: Age of Extinction. Wahlberg is also an accomplished producer of films such as Lone Survivor, 2 Guns and the upcomingEntourage, as well as HBO shows Boardwalk Empire, Entourage and In Treatment. A committed philanthropist, he started the Mark Wahlberg Youth Foundation in 2001 to benefit inner city children and teens. Nick fans will be able to get in on the slimeonline this year, voting for their favorite actors, shows, movies, and musicians in all new ways. Beginning today, viewers can log on towww.nickelodeonafrica.com to get to know theirKids’ Choice Awards host, Mark Wahlberg. Last year, Nickelodeon’s 26th Annual Kids’ Choice Awards was a slime-tastic extravaganza where kids cast a record-breaking 392 million votes in 22 categories. Voting for the 2014 KCAs will span six continents across 17 localized voting sites, giving kids practically everywhere the chance to decide who takes home a coveted “blimp” trophy. The 2014 Nickelodeon’s Kids’ Choice Awards will be seen in more than 375 million households around the world and in more than 25 languages. Within hours of airing live in the United States and Canada, the show will roll out internationally, providing kids around the world the opportunity to tune into their local Nickelodeon channel to enjoy the show faster than ever. Nickelodeon’s 27th Annual Kids’ Choice Awards (KCAs), premieres on Nickelodeon (DStv Channel 305) on Wednesday 2 April at 5PM. Nickelodeon’s 27thAnnual Kids’ Choice Awards is being produced by Nickelodeon Productions in association with Bob Bain Productions. Bob Bain, Jay Schmalholz and Shelly Sumpter Gillyard are Executive Producers.